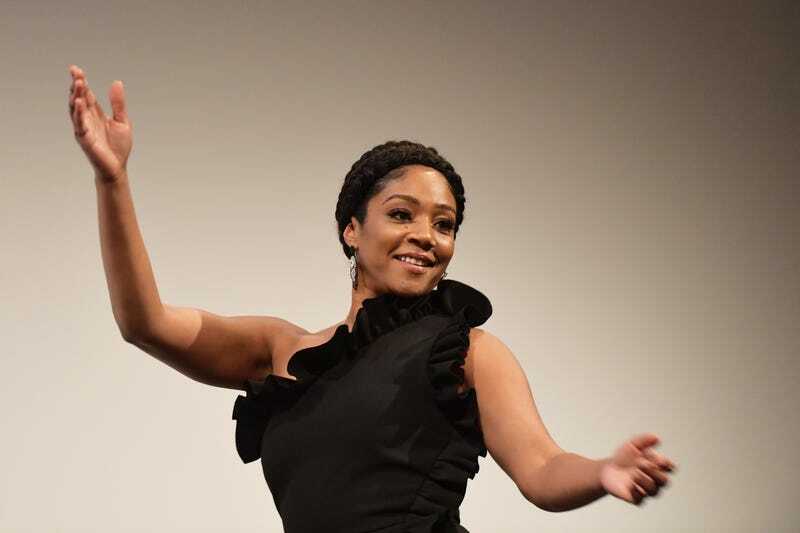 Can we talk for a minute about the amazing year actress and comedian Tiffany Haddish is having? The Girls Trip standout is Hollywood’s latest darling, and her glow up is real. She has hosted Saturday Night Live and dazzled on various red carpets, and was the highlight of the Oscars along with fellow comedian and actress Maya Rudolph. Her first book, The Last Black Unicorn, was published in December and made the New York Times best-seller list, and she is currently starring in the TBS series The Last O.G. opposite Tracy Morgan. So what’s up next for the down-to-earth South Los Angeles native known for keeping it extremely real? An HBO comedy series, of course. Haddish will executive-produce Unsubscribed, a comedy series that will take a look at female blackness, beauty and identity through a behind-the-scenes view of the Instagram hustle, according to the Hollywood Reporter. The project is the first to come out of Haddish’s two-year first-look contract with HBO. Unsubscribed will be co-written and also executive-produced by actress Xosha Roquemore (The Mindy Project) and writer Danielle Henderson. Later this year, Haddish will be seen in Universal’s Night School—which will also star Kevin Hart—and she will voice the main character in the upcoming Netflix animated series Tuca and Bertie.